Six Points Cycling Challenge | Go to the ends of the "island" for a cause! Six Points Cycling Challenge | Go to the ends of the "island" for a cause! The Six Points Cycling Challenge has just passed and we are gearing up for next year in 2019! Next year’s event will take place on 17th, 18th and 19th of May and we are delighted to announce that we will be supporting Asdica again. As I write this in the lead up, though, I am a little nervous as this year for biking has been somewhat of a disaster. Alas, my amazing bike has not seen many miles, which is a shame as last year was excellent for training. This is not to say that Fitness Katie has not been exercising but gym, running, swimming, assault course racing, powerlifting, boxing, canyoning and other outdoor challenges have taken priority over cycling. This year’s weather has not tempted me to go on my bike as each training window I have had has either been incredibly wet, unbearably cold or I just have not been able to go due to work commitments. Let’s hope I make it this year without the training……EEK! What is the Six Points Cycling Challenge? Last year we began as 26 riders; one participant – Orlando Jiménez Bonila – completed the challenge in just 16 hours and 56 minutes! We raised €6,440 for two charities on the island and the plan this year is to raise €10,000 for Asdica, a local charity, which presently has a membership of over 140 and there are more than 30 young people aged between 13 to 35 who actively use their services. “ASDICA is a non-profit organisation located in the municipality of Calvià, founded in 1996, with the intention to work in favour of disabled persons and their families. For more information about Asdica, please click here. To donate, please visit our JustGiving page and please tag me (Katie Handyside) on the donation! The Six Points Challenge was all in all a wonderful experience and one that you can also enjoy. Cycling is one of the many ways to get out and enjoy the outdoors and stunning scenery in Mallorca. Whatever you are interested in-mountain hikes, adventure courses, biking, canoeing or swimming-Mallorca has it all and I can help you create the perfect holiday or excursion. 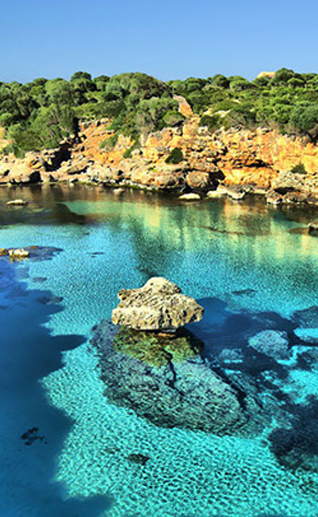 Why not team up with others that are also interested in getting out and exploring Mallorca? Do you have family or friends visiting the island? Would you like to organise a team building event? Group training and DNA individual nutritional plans can also be included as part of your package. I am passionate about making people happy and here in Mallorca I know how to tick all of the boxes regardless of age, gender and physical capability. Katie has a lifetime worth of experience in health and wellness and has worked globally including LA, Vancouver and Seattle. She not only focuses on nutrition and exercise but also blood work, over-all health analysis. Add to that, heart rate variability, sleeping, oxygen therapy/ altitude training, papimi and other treatments. She has a whole host of tools to ensure a 360’ approach to having you feeling the best you can.